The Natural Solutions Foundation’s reports also claimed, variously, that a WHO Under Secretary for Food Safety had spoken “sternly, sharply and scathingly of the fact that little contribution to human health had been made by Codex”; that WHO had stated that “things would be different in the future”; that the Terms of Reference of the Codex Committee on Food Labeling and the Codex Committee on Nutrition and Foods for Special Dietary Uses are going to be redefined; that “Codex will implement the WHO Global Strategy for world health through diet, physical exercise and nutrition“; and that “Codex will make a yearly report to the World Health Assembly about its progress in implementing the WHO Strategy“. So, is there any truth behind these claims? 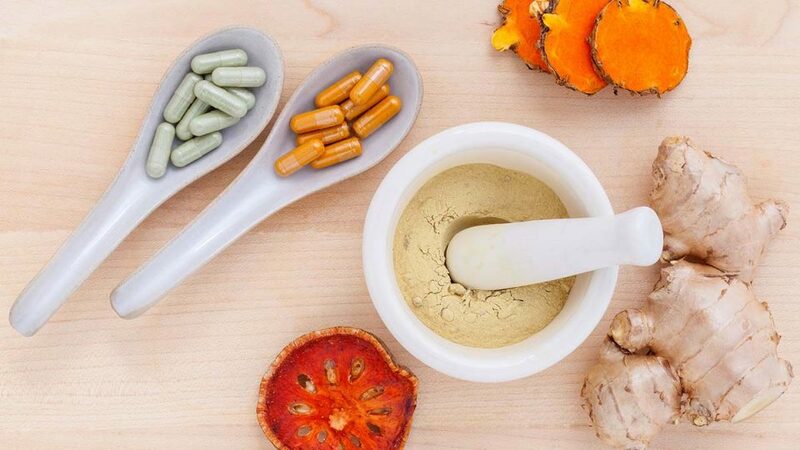 In the following article we attempt to set the record straight, and describe how the Natural Solutions Foundation’s assertions are largely either mistaken or exaggerated. The majority of the confusion surrounding the claim that a “miracle” occurred in Rome this year relates to three specific discussions that occurred during the Codex Alimentarius Commission’s meetings. The first of these discussions related to financial and budgetary matters. During this debate, three speeches were made by officials from the WHO: in each case the significance of which was subsequently either overstated or misunderstood by the health freedom community. 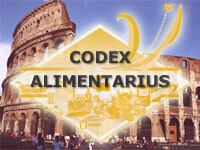 In order to also strengthen the Codex mechanism itself we initiated together with FAO the evaluation of Codex, and the outcome of that evaluation was taken to the World Health Assembly, who clearly stated, again a clear statement of the importance of Codex, and, the importance of the WHO support to Codex. As a result, the WHO contribution to the Codex budget increased by 26 percent, from 02/03 to 04/05, and the FAO contribution increased with this, approximately with the same percentage. So, I think, if you look at the figures, they give the clear picture that the mother and father, or is it two mothers, or…..are really providing a lot to the kid. We would now also hope that the kid will be able to deliver at the end. And might I here also just put in a small remark that when the outcome of the Codex evaluation came out, and when the discussions were there in the World Health Assembly, there was a clear direction that we need to do more for human health through the Codex mechanism. We would hope that some of these initiatives that have been going on over the last six years would also result in some tangible outcomes, so that we can show the world that Codex is actually helping also in relation to public health. But I think the figures show the picture that there is a commitment, and that there has been, over that long period, a strategic redirection of funding into scientific advice and into the Codex system. We would hope then also in the future that we would be able to attract maybe more extra-budgetary funding for the scientific advice needed for Codex, because, as we have stated several times, also at this meeting, the needs for scientific advice are clearly increasing. Note that although Dr. Schlundt was of the opinion that “we need to do more for human health”, he did not actually criticize Codex. In fact, he specifically talked about “the importance of Codex”, and stated his hope that WHO would be able to attract “more extra-budgetary funding for the scientific advice needed for Codex”. Significantly, therefore, and as we shall see, with regard to what he described as the “initiatives that have been going on over the last six years”, along with the need he expressed to “ show the world that Codex is actually helping also in relation to public health”, it soon became apparent that Dr. Schlundt was primarily referring here to Codex work on microbiological risk assessment and biotechnology, as opposed to nutrition. I have to answer for the record that we hear you but I don’t think you go about it in the right way. This is not going to work because the Executive Board of Codex and the Commission are going to be perceived by WHO governing bodies as an interested party. So you are asking the governing bodies of WHO, as an interested party, to increase a share in our budget for your work. Now, if WHO would always listen to all the external interested parties, I can assure you our budget would be blown in no time. So I think the only way forward is that you go back home and you talk to your colleagues in ministries of health, and you ask them to speak up in the WHO Executive Board and in the World Health Assembly, and that they ask this, because at the last WHO World Health Assembly guess how many Member States represented by ministries of health spoke on the issue of Codex? One! One Member State asked a question. And that is just the truth of the matter. Now please do go back and ask your colleagues in ministries of health how much of their budget goes to food safety-related work, and I’m sure you will have a very, very harsh awakening. So I think if you want to get away from just griping about not getting enough money from the health community, we have to do it the proper way, and the proper way is that those that represent your countries in the governing bodies of WHO need to speak up on this. For now, I can only assure you that we in the Secretariat are doing our damnest to get the funds that you need in…..from us to get the scientific advice, and to the support of the Codex machinery. Note too that she was actually sympathetic to the requests for more money to come from the WHO to Codex, as particularly shown by the final sentence of her speech. Her main point, however, was clearly that the WHO Executive Board and the World Health Assembly are the correct venues in which to frame requests for increased funding, and that a meeting of the Codex Alimentarius Commission was not the place to do this. …I just have to add to this that when there is a reference to the level that we had in 0001, which was very high as you can see in table 1, it was 1.6 million, that was extra money put into this so that we could start up microbiological risk assessment. So we did Salmonella, Camplylobacter, Vibrio…..and Lysteria. And we put them out very, very quickly into the Codex system. We initiated work on biotechnology, and we put it directly into the biotech task force. Now, we also need, I think also, the World Health Assembly also needs to see that something is then happening to this extra influx of money. And it’s difficult if we cannot see that something is happening with this extra influx. It would be difficult to make the arguments in the World Health Assembly where the countries, you, all your countries, also had to take all the other priorities into consideration. So we hope, you know, that we can also really see some outcome out of the extra money that was actually put in here from WHO. Apparently, therefore, Dr. Schlundt’s intention here was simply to make the point that it would be difficult to argue for more money from WHO at the World Health Assembly until such time as the work on microbiological risk assessment and biotechnology has been completed and its outcome apparent. As such it is clear that in his earlier speech, where he expressed the need to “ show the world that Codex is actually helping also in relation to public health”, he was almost certainly not thinking principally about nutrition. Just as importantly, however, it can also be seen that once again Dr. Schlundt was neither criticizing Codex nor expressing displeasure with it. The second discussion at the Codex meeting in Rome that has seemingly been widely misreported relates to the WHO Global Strategy on Diet Physical Activity and Health. Prior to the Codex meeting, WHO, in cooperation with FAO, had prepared a discussion paper entitled “Implementation of the WHO Global Strategy on Diet, Physical Activity and Health: Action that Could be Taken by Codex”. Recognizing that the dietary goals of the Global Strategy have been based on the advances and improved understanding within the field of nutrition, it is possible that the Global Strategy in particular, but other nutrition-related interests in general, would benefit if consideration were given to the possibility of considering amendments to the terms of reference of CCFL and/or CCNFSDU or to establish an ad hoc task force, as appropriate. Related issues may include mechanisms for seeking scientific advice and strategies for dealing with the increased need for data collection and monitoring activities. This strategy is a comprehensive set of policy options that countries can adopt, as appropriate, and in their national circumstances, and the strategy recognizes that actions to prevent chronic diseases are needed at international, regional, national, community and individual levels. At the 55 th Session of the Executive Committee of Codex it was agreed to ask WHO and FAO to prepare a document highlighting the actions that could be taken by Codex, in the framework of its mandate, to facilitate the implementation of the Global Strategy on Diet, Physical Activity and Health, which is document LIM/6. In preparing this paper, WHO and FAO recognize that the Global Strategy is a relatively new strategy, that the relevant issues need further analysis and consultation, and that coordination of ongoing activities is needed. Two Codex Committees seem to be directly germane to the issues raised by this global strategy, which are CCFL and CCNFSDU. So WHO therefore invites the Commission to adopt the recommendations of the Codex Executive Committee, for WHO and FAO to produce a more focussed document for consideration by CCFL and CCNFSDU. …report to the Health Assembly each even year, along with the report on the status of implementation of the International Code of Marketing of Breast-milk Substitutes and the relevant resolutions of the Health Assembly, on progress in the consideration of matters referred to the Codex Alimentarius Commission for its action. During this debate, Dr. Schlundt, of the WHO, described how the Resolution, passed in May 2005, requires the Director-General of WHO to report to the World Health Assembly (WHA) every two years – not each year as has been claimed – on progress in the consideration of matters referred to the Codex Alimentarius Commission for its action. Of course, although this WHA Resolution was clearly passed in the context of nutrition for infants and young children its’ wording indicates that the Director-General’s report will encompass the entire range of work carried out at Codex. Nevertheless, at no time during the Codex Alimentarius Commission’s debate on this issue was this development discussed as being either directly or indirectly related to the WHO Global Strategy on Diet, Physical Activity and Health. Indeed, the WHO Global Strategy was not even mentioned during this debate. As such, although the Director-General’s report would clearly include mention of any work carried out by Codex in relation to the Global Strategy, it would be incorrect to assume that the two issues, the report and the Global Strategy, are directly related. We would therefore contend that the claim that “Codex will make a yearly report to the World Health Assembly about its progress in implementing the WHO Strategy” is unfortunately somewhat misleading. 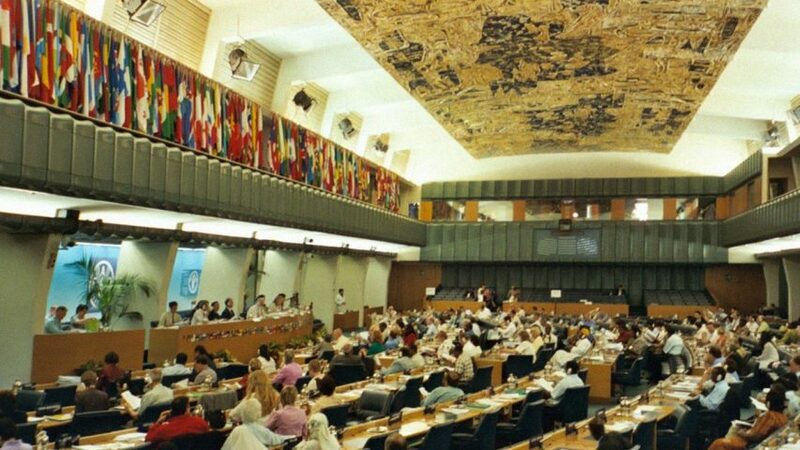 In addition, although a paper prepared in advance of the meeting by WHO and FAO had suggested that consideration could be given to the possibility of considering amendments to the terms of reference of CCFL and/or CCNFSDU, this matter was not brought up at the Codex meeting itself. Indeed, and as the transcripts and recordings from the discussions on the Global Strategy clearly demonstrate, both the UK (speaking for the 25 countries of the European Union) and the United States appeared to be of the opinion that the current Codex mandate should be retained. In conclusion therefore, it can be seen that there was no “miracle” at Codex this year.